Sire Hochadel is by Hohenstein 1, who had success after success. At his approval in Neumunster in 1993 he became premium Stallion. In 1994 he was runner up in his stallion performance test. 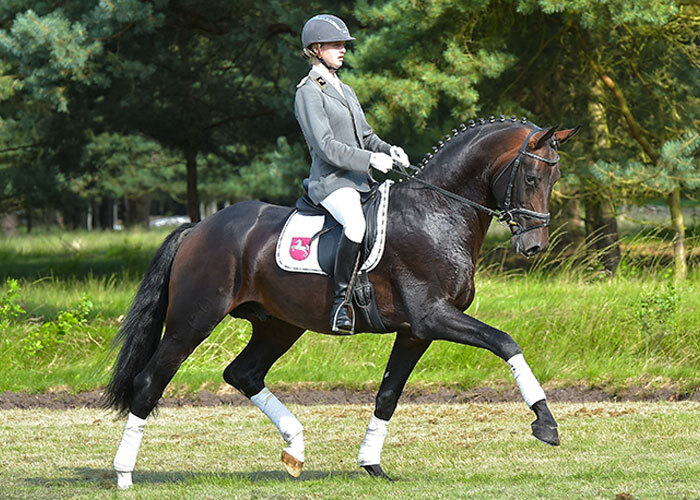 In 1995 he won the Trakehner Championship in Cologne, and came third at the Bundeschampionat in Warendorf. At the age of 6 he won in intermediate (M) dressage and went on to win advanced (S) level and mastered Grand Prix. He presented a number of approved stallions including Harvard, Hero, Hudson, His Highness, I Punkt, Tambour as well as the Trakehner approval winner Munchhausen TSF and Hochadel. 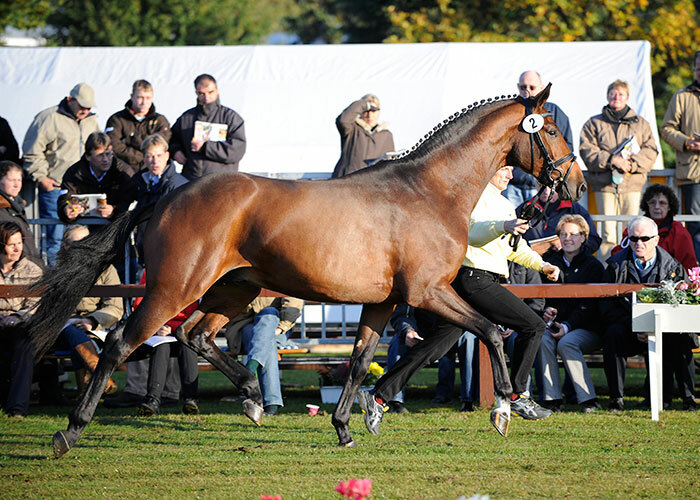 In 1999 the Trakehner Association awarded him Elite Stallion and in 2002 he was Trakehner Stallion of the Year. Hochadel, after a series of wins and high placings in tests for young riding horses, won the 2003 stallion performance test in Adelheidsdorf. In 2004 he won the Hadelm Riding Horse Prize. 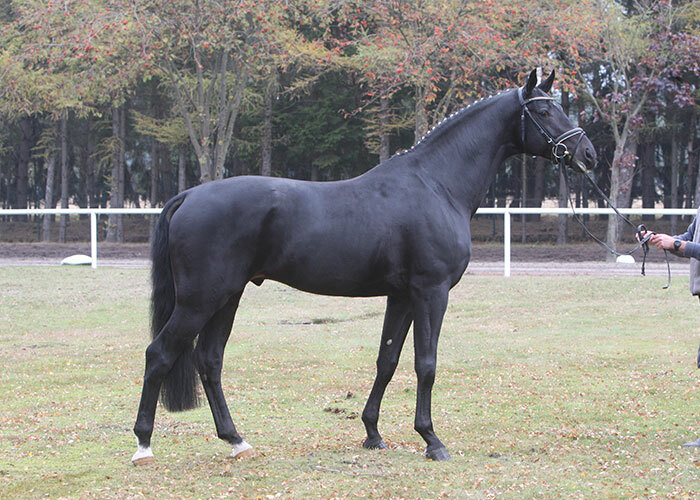 He is highly regarded as a breeding sire with the Hanoverian Verband with numerous licensed stallions to his name including Hohenzollern (Celle), High Crusader and Hochstern. His breeding value for dressage is very high and he is a good improver in riding type. With Rubinstein 1 and Donnerhall also in the pedigree who were both competition and breeding sire legends. Heinrich Heine was one of the most important German poets, and he provided inspiration for the name of this elegant and shiny black stallion. As the poet was susceptible for beauty, he would have loved this attractive and appealing stallion. Equipped with a big-framed and perfect riding horse conformation, Heinrich Heine was one of the best stallions of the stallion performance test in 2009. His self-carried uphill going canter and his always regulated walk with good overstep give him his signature, just like his above-average rideability. 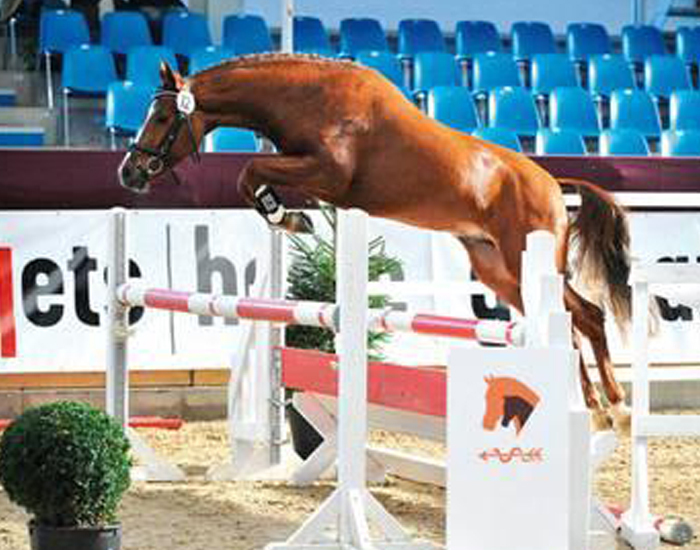 His half brother Delatio was competitor at the Final of the Federal Championships. At his performance test Heinrich Heine gained 7 for character, 7 temperament, 7 willingness, 6 conformation, 7 trot, 7canter, 7 walk, 7 rideability, 7 free jumping, 7 cross country.